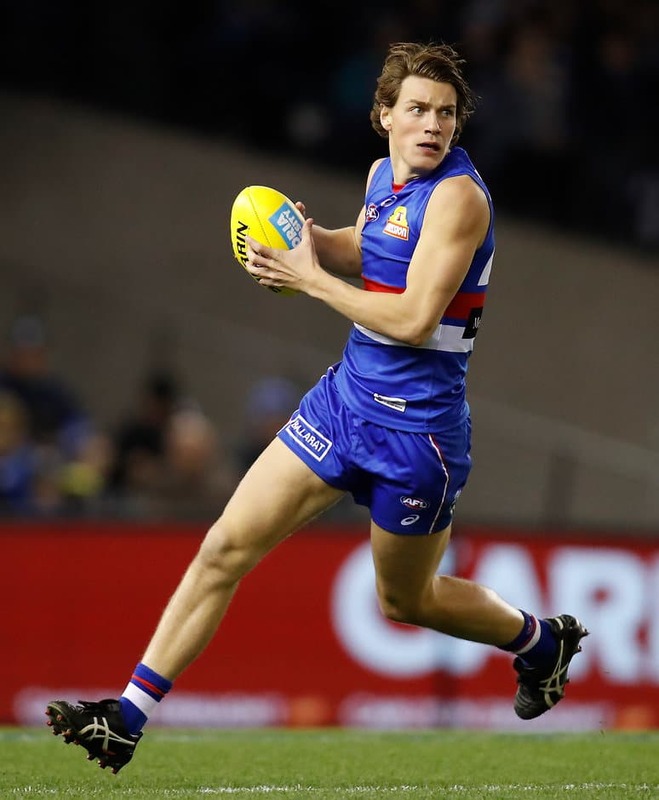 There’s been a great vibe at the VU Whitten Oval over the past couple of days according to Bulldogs young gun Patrick Lipinski. The Dogs broke a decade-long hoodoo against Geelong on Friday night with a stirring two-point victory after a Harry Taylor shot for goal after the siren sailed left. It followed a last-gasp loss to North Melbourne that according to Lipinski the players took confidence from, despite the final result. “We had a close loss to North Melbourne but we played really well that game so we came into the game, I won’t say full of confidence, but we knew we could match it with any team,” he said. The 19-year-old has played 10 games this season, nine more than in his debut season, and played his best game for the Club on Friday night, posting career highs in disposals (25) and marks (7). He also sits third on the Club’s goal kicking leaderboard, with nine. With the Hawks to come on Saturday night, Lipinski said the key was to take the momentum from the last fortnight to Etihad Stadium on Saturday night.